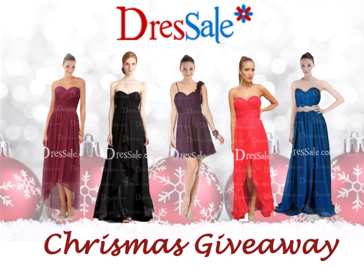 People who do not win the dress can also receive a $15 coupon if they join this giveaway and follow all the steps. All the dress look amazing but these were some of my favourites on the website. Love love love the black one in the middle. And you also have to be following me either on google friend connect or bloglovin. I will be checking enteries as well. *http://www.dressale.com/ is an online fashion clothing store providing a wide range of high quality customer-made wedding dresses, wedding party dresses, special occasion dresses, shoes and other women clothing. You can find all kinds of the dresses you need. The prices are quite reasonable, and i have been told that have flash sale and discounts everyday. For more details you can just click overto their website.